Ronald (Ron) Lander, CPP, a native of The Netherlands is a retired and decorated Sergeant with over 23 years on the Los Angeles County Sheriff’s Department. Ron has been Chief Specialist at Ultrasafe Security Solutions, an integration and consulting enterprise in Southern California for thirty years. Ron has been involved in site assessments of countless mainstream and high-profile facilities throughout the Americas. 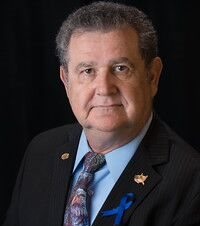 In 2008, Ron was the first recipient of the Roy N. Bordes Council Member “Award of Excellence” for his over 14 years of volunteer contributions to ASIS Councils and his countless lectures throughout the world on the behalf of ASIS International and the security community. Ron is also frequently invited to lecture internationally on matters such as “Lessons Learned (in security installations), “Planning for Violence in the Workplace”, “Living Defensively”, “Disaster in the Data Center”, “Researching the Internet for Security Professionals”, “Computer Security/Security Awareness”, “Computer Security for the Road Warrior”, “Security Technologies Utilizing the Internet”, “Internet of Things” and “Computer Forensics”. Ron has authored magazine articles and participated in Blogs on security matters and has been a recognized speaker at ASIS International Conferences for over twenty years. In 2004, Ron co-authored the book, “Cyber Threat Levels Response Handbook” which was a tool for computer security specialists to determine the appropriate level of security for their venue, based on the U.S. Homeland Security Threat Condition Level. He also Co-manages the ASIS annual “Accolades” competition at the annual conferences. 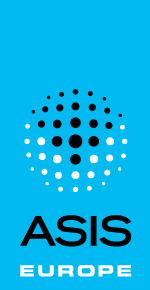 Ron is now a member of the ASIS Standards and Guidelines Commission spent six years a ASIS Council Vice President (CVP). In this role, he was responsible for overseeing several teams of Subject Matter Experts.